I’m back from Alaska! Well, I actually returned last week, but I spent most of that catching up. So, Alaska. Disney is amazing at everything, so the cruise was fantastic. I basically stayed inside as much as possible due to the cold, but when I did venture out, the scenery was breathtaking. Best way to see a glacier? From inside your cabin with a balcony. We kept the door open and I came in and out of the cabin, reading for a while and running out if my husband alerted me to another amazing view. I don’t think this picture can possibly capture how cool this was. 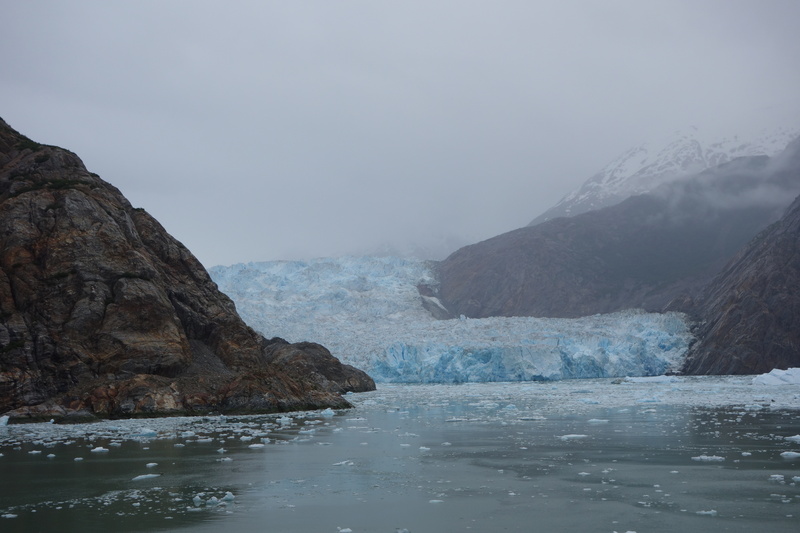 We visited another glacier as well (much colder as it was off the ship), but this one was larger. Ok, so you came here for a review. I read a lot in my cozy cabin :). I haven’t yet decided how many reviews I’m going to post from all that reading, but THE FILL-IN BOYFRIEND demanded one. As usual, let’s start with the description. 1. The premise – Basically I’m a sucker for any story where people have to pretend to be together for some reason, so I knew going in that I would get pulled into this story. But also, what kind of guy dumps a girl in the parking lot at prom? And then tries to get back in with her later? That description just screamed “read me” and I obliged :). 2. 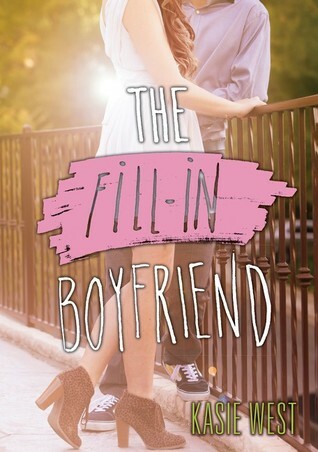 The fill-in boyfriend – Yes, I am leaving out his name on purpose. If you read the book, you’ll understand why. Anyway, I really loved his character from the moment he appeared. I could see why Gia couldn’t get him out of her head :). 3. Bec (fill-in boyfriend’s sister) – At first Bec seems to be a stereotypical outcast, but it quickly becomes apparent that she’s someone entirely different, and I loved that about her. She was such a great foil for Gia. 4. Gia’s growth – I loved the way Gia discovered herself in this story. She starts out very unaware of how she appears to others, thinking she’s a fairly well-liked person by the general population. As she sees herself from others’ points of view–particularly Bec’s–she begins to realize her life isn’t as perfect as she thought. There’s one moment that’s particularly gut-wrenching, but you’ll have to read it to find out. I just realized that three of my favorite things about this book were characters. How about that? If you love contemporary YA romance, definitely go pick this one up! 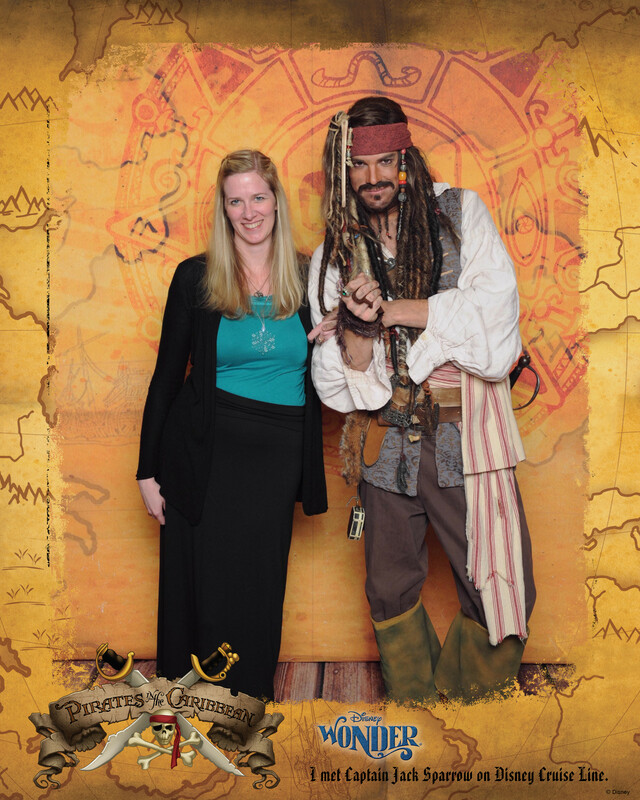 And in the meantime, I’ll leave you with my fill-in boyfriend from the cruise. Don’t we make a cute couple?